You will experience mainly “movement situations”. Irregular training methods to provoke and increase the adaptive value of your behavioral traits and strategic planning. We will work on complex and most of the time improved structures to improve your movement qualities and increase your creative variability. We will help you to understand the underlying principles of human motion and how stress and pressure affects our perception, behavior and actions and how creatively adaptive you are in complex situations. 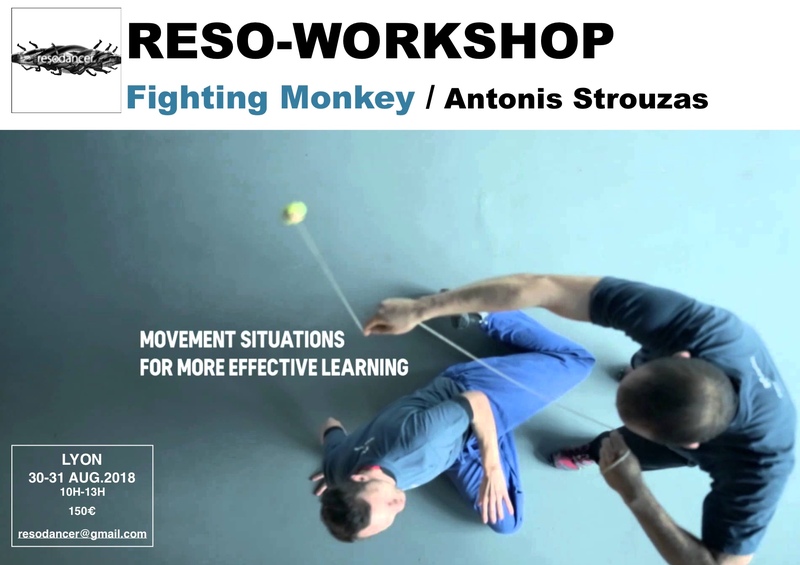 Antonis Strouzas was first introduced to physical movement at the age of 14 when he started practicing martial arts. After years of professional Kick Box fighting he was accepted in the Greek Gymnastics Academy. Graduated with a diploma specializing in Gymnastics, Tae Kwon Do and Shooting, at the age of 24. His continuous strive for academic and athletic development puts him in the postgraduate program of the Gymnastics Academy with a focus on “Maximization of Exercise Efficiency and Quality of Life”. Throughout these years he has also been continuously researching and experimenting with various fighting sports such as Judo, Boxing, Greco Roman and Freestyle Wrestling, Kick Boxing and Tai Chi Chuan. He never stopped looking for ways to evolve and optimize his grasp on movement and in 2006, started studying at the State School of Dance in Athens under the tutelage of Jozef Frucek and Linda Kapetanea. This presented him with a unique opportunity to research the combination and fluidity of movement between martial arts and dance. After graduating from the State School of Dance, and until now, he has been working under the guidance of Josef in the Fighting Monkey Practice. Antonis has collaborated with many dance companies such as RootLessRoot Dance Company, Hellenic Dance Company and others. He has been training with Jozef and Linda for the last 12 years. He continues to explore the way dance and fighting movement allows him to communicate with his inner emotions and how he can convey these emotions in his every performance.